Есть вопрос для Siripanna Villa Resort & Spa Chiangmai? Построенный в 2009, Siripanna Villa Resort & Spa Chiangmai является отличной отправной точкой в Чиангмай и разумным выбором для путешественников. Отсюда, гости могут всецело ощутить преимущество удачного расположения и близости ко всему, что может предложить оживленный город своим туристам. Гости отеля могут насладиться посещением популярных достопримечательностей города, Международная Церковь Ланна, Hospital Kawila, Клуб Джимхана. Предлагая гостям превосходный сервис и широкий спектр услуг, Siripanna Villa Resort & Spa Chiangmai стремится к тому, чтобы сделать ваше пребывание в отеле максимально комфортным. Проживая в этом прекрасном отеле, гости могут воспользоваться такими услугами, как бесплатный Wi-Fi в номерах, охрана 24/7, ежедневная уборка, услуги почты, услуги такси. В Siripanna Villa Resort & Spa Chiangmai 104 номеров, в которых, тщательно и со вкусом подобрана мебель, так, чтобы обеспечить гостям максимальный комфорт, а также доступны следующие удобства: телевизор с плоским экраном, вешалка для одежды, бесплатный кофе, постельное белье, зеркало. Помимо широкого выбора услуг для отдыха, предлагаемых в отеле, у вас останется много возможностей развлечься не выходя из отеля. Если вы ищете комфортное и удобное место для проживания в Чиангмай, выберите Siripanna Villa Resort & Spa Chiangmai, который станет вашим вторым домом, на время вашего отпуска. Гости в возрасте 5 лет и старше считаются взрослыми. В стоимость проживания включен бесплатный купон на спа-услуги номиналом 500 THB на человека на весь период пребывания. Гостям объекта размещения предоставляется скидка в размере 30% на меню «а-ля карт» в ресторане. The hotel surroundings are wonderful. The pool is cold, but beautiful. The problem is the rude receptionist....she told us our room was an upgrade. She lied. It wasn’t an upgrade....she had overbooked! So we got two twin beds instead of the double bed we booked. When we asked for the room we booked, she got very rude, arrogant and defensive. I also witnessed a French lady who had stayed at the hotel for 6 nights and she was refused entry to the pool on her final day!! Wow. Terrible customer service. This hotel needs to train its staff on customer service. beautiful hotel, everything is perfect, staffs speaks good english and helpful. good place to relax. however a bit far to city center. need to take tuk tuk around 15 mins to city cost 150baht each time. It was an excellent stay at the Siripanna....the staff are wonderful and will go all out to help you. The dining room was very good and there's a great swimming pool and beautiful grounds. There are a number of activities that you can do, for example: plant rice, give offerings to the monks and there are some particularly good activities for the children. The location was good from the point of view that it was a couple of kms out of town ...so quieter but still everything is there. We had one of their special deals which made our stay very good value for money! The resort is far from the Old Town. It is quiet and relaxing. The swimming pool is large and pretty but is not cleaned well. The pool access room was very pleased. At the entrance of the resort, rice noodles restaurant is the best place to eat beef noodle soup. We were in a delux Lanna room. It was even more beautiful than the pictures and the grounds were better too. The pool is a fantastic square surrounding an elevated bar. The only issue we had is that the A/C was not removing moisture from the air so everything felt just a bit damp and the room was SUPER musty. And this is dry season. When we arrived that evening we were checked in quickly with the help of the staff. Everything was fast and the dinner at the resort was great. The room is spacious and clean. My compliment the service of the staff, they are helpful and friendly. The resort is fantastic, the room is spacious and clean. The staff are friendly and helpful, they even help arrange for transport to several tourists attraction. Good breakfast spread and Dinner menu. Definitely will recommend to friends with young children. 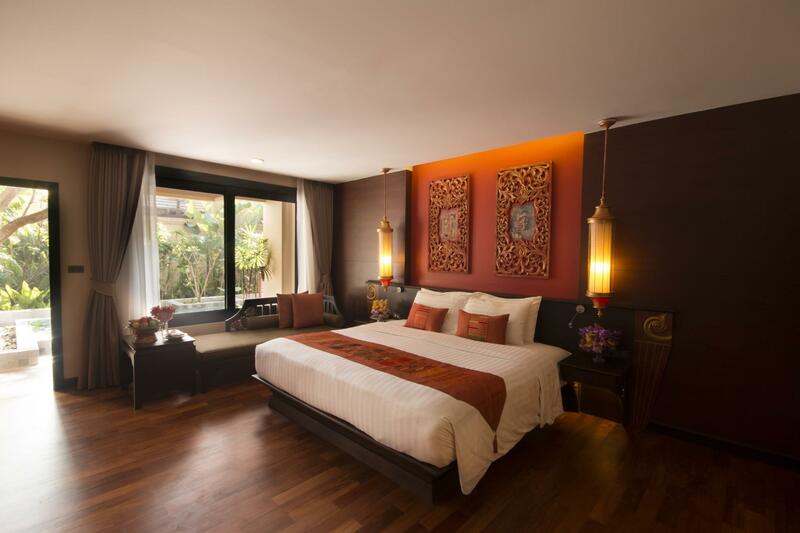 Room are Thai deco, spacious, peaceful . The rice field and a cafe with the hammock is a real relaxing corner. Spa is excellent!! Staff are friendly and attentive. I forgot my stuff and they kindly managed to send it to me to Bangkok with no charge. We traveled with parents in their 70's and 80's plus 2 teenagers. 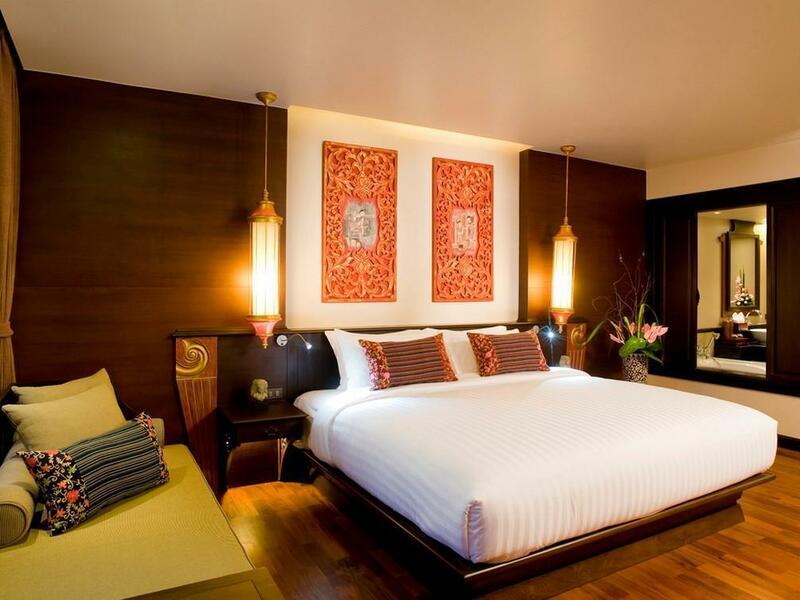 Hotel upgraded my parent's room to Royal Lanna Villa, my children's and my room to Grand Deluxe Lannas, which are all well designed and super clean. Washrooms are modern and spacious too. They even provided welcome fruits to each room. All staff we met are polite and helpful. Besides, they arranged air- con hotel shuttle to night bazaar for us in one night (free). Good selection and quality of food in breakfast and dinner buffet. The hotel ground is great with rice field and many outdoor sitting area. We didn't encounter much mosquito problem. We have a great time to do many outdoor activities during the stay, including whole-day horseback riding with strong mountain horses, zipline adventure across the river, elephant sanctuary visit, tiger kingdom visit, jungle motorbike riding, houseboat visit in Mae Ngat with kayaking and slides playing, waterfall visit... We will definitely come back if we visit Chiang Mai again. This is a beautiful hotel, fantastic quiet spa pool area to relax. Very good quality food. The staff are very professional and genuinely friendly kind people with the guests interest at heart to ensure you have a pleasant stay. The resort is very pleasent but do operate a very strict none smoking policy to be aware of but there is an area to the aide of the parking area should you wiah to smoke. The spa is quiet prices for massage are very high but nice. We very much enjoyed our stay and intend to visit again next year. I stayed here during Songkran Festival 2018 with my Taiwanese and Chinese friends. This hotel is not in a lively area but you can contact a staff to call Red-Car which cost only ฿30/person to pick you up at hotel to Nimmarn, Night market or wherever you want. Oh! And this hotel have rice planting class and that was amazing for us. Staffs are very nice and funny. Breakfast is a buffet and there are many things for you to pick and the taste is good . If we have a chance to visit Chiang Mai we will come back here again. This resort is well worth the money! Everyone on the staff was helpful and always had a smile on their face. The pool is beautiful and although the location is not centrally locates they offer free shuttles to the night bazaar and other locations. We booked the shuttle about an hour before and never had a problem getting a seat. I would highly recommend this resort! Loved the property and ambiance, especially the design of the pool. We really did not enjoy the room however - we had a private swim up pool suite (does not actually connect to main pool - simply a pond/stream thing outside patio). What bothered me most was how dark and cavelike it felt like - really dim lighting, few windows. It even felt musty. Everything else about the property was enjoyable however. If your looking for a quiet location, then this hotel is for you. A little inconvenient when you wanted to head into town as you always had to hire a taxi or use the provided shuttle service; which was rather limited. The buffet looked fantastic but the food was always served cold. Great staff, very accommodating. The rooms were spacious and clean. It would have been nice to have a clothes drying rack on the balcony. Only good thing is friendly staff at the restaurant October 2018, there are renovation on pool, shall this be inform the guest? Construction beside hotel... Noisy and again not be informed. Many hotels are in Chaingmai, and this one should not be the choice. 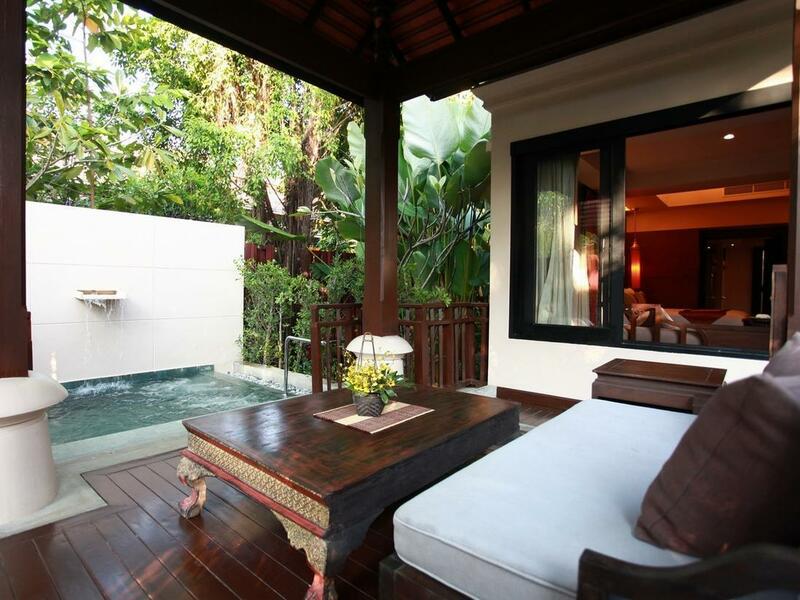 This is quite a good Lanna type hotel and spa where the staff are excellent and the facilities are reasonably good. We enjoyed our second time staying there but it is quite a distance from the main attractions and whilst the hotel provides mini bus travel to some of the attractions we have always rented a car when we stayed there. The beds are comfortable and they have a walk in shower in the bathroom which is nice. The buffet food at breakfast is reasonable. Work was being done on the swimming pool which is located in the middle area of the hotel in the centre of the open walkways to and from the rooms so the hotel provided a shuttle to a different hotel for those who wanted to swim. Getting to and from the hotel to the airport is not easy and we would recommend arranging with the hotel for them to pick you up at the airport and take you back there at a cost of about 500 Baht one way or rent a car for about 1,000 Baht a day.